Fall racing season is right around the corner, and you might be thinking about toeing your next start line—we sure are! In the meantime, we want to share some thoughts about making the most of your Athlinks membership and gaining maximum benefit from the many features of Athlinks.com. We’ve been hard at work enhancing and adding to the experience; now is a great time for you to explore and uncover all that Athlinks membership has to offer athletes like you—still absolutely free. Any new results that you claim will instantly update your personal stats. You’ve worked hard for that PR—now claim it with pride! Looking for an easy view of your PRs in all race distances and disciplines? You’ll find them under the “Statistics” tab on your profile page, along with your ranking within the Athlinks athlete community. Don’t see the results for an event you finished? Select “Add Event” from the “Event Search” page and add your unofficial time—then we’ll do the work to verify your result. Did you know you can build out your profile a bit more by uploading a profile photo? This allows people to easily recognize you on race results pages and start lists, inspiring your friends to join you and striking fear in the hearts of your race day rivals! Now, take your membership to the next level by engaging with other athletes. 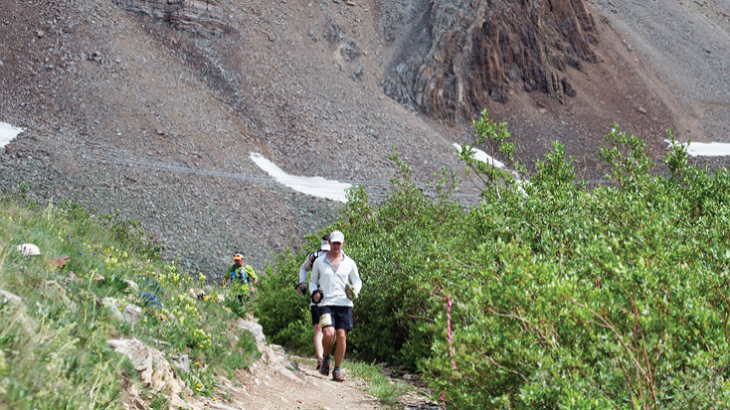 Endurance races are most often solo pursuits; still, we all long to connect with other athletes preparing for and competing in the same events, plus keep an eye on our head-to-head rivals. Athlinks not only enables these connections—we make them easy, entertaining, and fun. As an Athlinks member, you’re encouraged to follow friends who are also members. It’s simple—just search by name and click to follow. Once you start building your Athlinks friends list, we’ll even suggest athletes you may know under the “Following” tab on your profile. You’ll know when the friends you follow have upcoming events or recent finishes, so you can plan to participate or celebrate along with them. You can even filter event results to see only the athletes you follow, rather than having to search through thousands of finish times. And did you know, we provide a place to cheer or comment on any other athlete’s results, plus inspire them to join you on a future start line? Under your “Rivals” profile tab, you’ll see the athletes you compete against most often. We’re all about helping to fuel your competitive fire; in fact, we automatically build out your rivals list from the athletes you’re following, letting you track their results and plot your next victory—or your revenge! Initially, you probably found your way to Athlinks through searching for results—but we also have a rich collection of resources to help you find your next race, set new goals, and share subsequent results. Now’s the time to search for—and share—your next bucket list event. From your profile page, the Find More Events button leads to our event database, where you can search, explore, and discover races that interest you. For example, you can search for “10K Colorado” to find local 10Ks; or use the filters on the left side of the page to refine your search. Ready to tackle an obstacle race or an iron-distance triathlon? You’ll find plenty of those, too. Thinking about taking the plunge to sign up for a race, or already registered? Share the event page with your friends on Facebook, directly from Athlinks.com, and see what they have to say. Add yourself to your event Start Lists and include your goal finish times and other comments with the Athlinks community. Talk about putting it out there—publicly stating a goal is one of the best ways to ensure you stay motivated and committed to reaching it! When you earn those awesome results, Athlinks allows you to easily share your results and event photos and videos to Facebook. It’s an ideal way to celebrate with family and friends around the globe, and to keep your competitive spirit fired up and hungry for more. Did you know you can take all the great features of Athlinks to go? Access your membership and its myriad benefits anywhere, anytime, right at your fingertips with the Athlinks mobile app. Inspiration to race rarely strikes while you’re sitting at your desk; rather, it happens when you’re training at the gym, on the track, or out on the trails. 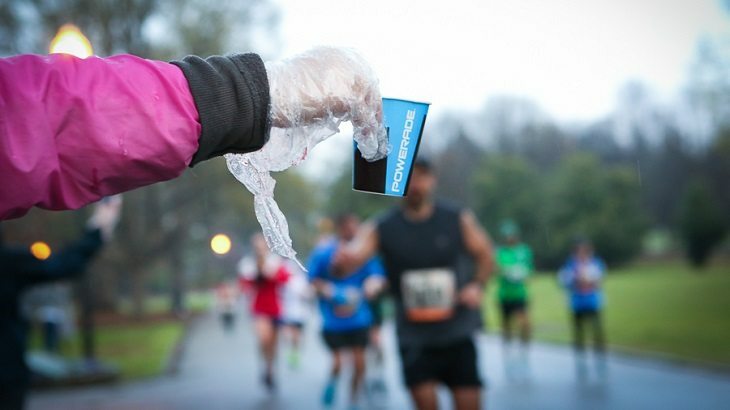 With Athlinks in your pocket, you’ll easily find your next race the moment motivation strikes. And as soon as you cross your next finish line, you can claim your results and update your profile immediately, plus proudly share your latest PR. The Athlinks app is available for download on iOS and Android—check it out and download the app today! We’ll dig deeper into these topics in the coming weeks—plus we’ll profile some of the members of our Athlinks community to learn what fuels their endurance passions. Meanwhile, go ahead and jump the gun—head to Athlinks.com and discover the many features and benefits we’ve developed, just for you. I loved Athlinks as soon as I found I had some results posted there. However, after creating a profile, I had difficulty logging in to my account. I emailed for help and received a reply. But I’m still unable to log in. I just tried to download the ap, but I can’t tell if it’s a free ap. I’m incredibly interested and excited about having all my race results in a central location. I’m just so frustrated trying to get to them. Please help! Hi Mary – thanks for joining! Sorry to hear you’re having trouble signing in. Our support team can be reached at support@athlinks.com; they can assist you with sign in issues and password reset. And yes, the app is FREE! I just got more into using Athlinks and I’m trying to follow/create rivalries with some of my friends but the “follow” button isn’t there when I view other profiles. Is there a way to fix this? How do I find age group winners? There is an event on my profile page that is not mine. I’ve tried clicking claimed and then no this is not my result but it’s still there. I have an event on my profile from 2001 that isn’t mine. I’ve tried clicking on claimed and the “no this is not mine” but I can’t get rid of it. I want to see the age group results from a race that links directly to Athlinks for “results.” How do I do that? I claimed a race result from September 15th and it’s been stuck in pending status ever since. It’s definitely mine, so I’m not sure why this won’t move beyond “pending.” Is this an Athlinks issue or is it on the event organizer’s end? And what is the best way for me to get this fixed?